Mining firms in Zimbabwe are not opposed to proposals to list their stock on the Zimbabwe Stock Exchange (ZSE), but have stayed away because the bourse is currently 'too thin' to mobilise the kind of capital high thresholds the sector requires, a senior mines executive as said. Chamber of Mines chief executive, Mr Isaac Kwesu told The Sunday Mail Business in an exclusive interview after the chamber's annual congress in the resort town of Victoria Falls recently that it made "little capital sense" to consider the ZSE for purposes of raising capital. "Comments were made to say what is wrong with that? We, as the mining industry are not against listing on the local market; it is a competitive free market, like any other market, it is a prime market where supply and demand of funds takes place. But the reason why mines have not been participating is because the market is currently very thin, and has no capacity to mobilise the kind of resources that are required by the mining industry," Mr Kwesu said. Currently, only four mining companies are listed on the Zimbabwe Stock Exchange, which was founded in 1896 and hosts a total of 68 actively trading stocks. The listed mining entities are diversified miner, RioZim, Bindura Nickel Corporation (BNC), coal miner Hwange and bullion miner, Falcon Gold. None of the entities have raised capital on the ZSE in recent years. "Even those (firms) that tried to raise funding on the market, including small firms, struggled to raise money for capital. In mines, we need about $10 billion to $12 billion, and so in terms of size,the market is very small. "When our stock market comes of age, we are looking forward to a situation where you find mining houses listing because mines do not list for the sake of listing, they list in order to raise capital." 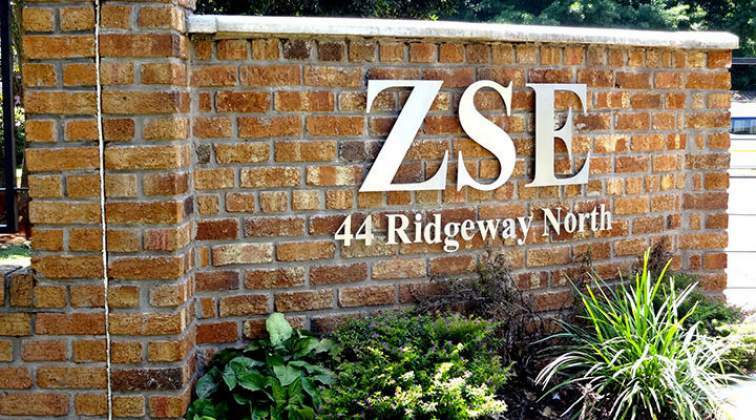 Mr Kwesu said given the limitations of raising capital on the ZSE, most mines are looking out to capital rich investors to raise the requisite funding to develop the Zimbabwean mining assets and create value. However, Mr Kwesu also noted that compulsory listing of mines on the ZSE had only been a proposal in the Mines and Minerals Amendment Bill which is currently before Parliament and deliberations are still ongoing. Mines and Mining Development Minister Winston Chitando has stressed that while the idea has been flirted with, Government will not force mines to list on ZSE. Minister Chitando told the Chamber of Mines AGM last Friday that reports that Government would compel mines to list had caused panic among investors, especially those with significant foreign shareholding. "Reports that mining companies will be compelled to list on the stock exchange caused panic, the Chamber of Mines actually phoned me about the issue. "For the record, Zimbabwe will not compel mining companies to list as this does not fit into the new economic dispensation," Minister Chitando said. Several unlisted mining firms, including units of global conglomerates, operate in Zimbabwe. These include Zimplats, an 87 percent unit of Implats, Mimosa Mining Company, a 50-50 owned unit of Aquarius and Sibanye Stillwater, Unki Mines; a subsidiary of Anglo-American, Mzi Khumalo's Metalon Gold Corporation and Asa Resource's Freda Rebecca. Mining is a capital intensive business. Zimbabwe went through close to two decades of economic recession which saw investors considering the country as a high risk pariah state. However, since President Mnangagwa got into office in November last year and immediately opened up the country for business, there has been an investor stampede amid revelations over $15 billion in foreign direct investment (FDI) has already been committed. Mining is a strategic sector in Zimbabwe, as it generates 60 percent to 65 percent of the country's annual export earnings and accounts for between 12 and 16 percent of Zimbabwe's gross domestic product (GDP). The country has immeasurable mineral potential, with official information saying Zimbabwe has over 60 mineral occurrences, including platinum, gold, diamonds, lithium, nickel, chrome, copper and coal. However, Minister Chitando said only ten minerals are being actively exploited. Mr Kwesu said this year's annual general meeting was a resounding success, as it saw a large number of delegates attending, including the sold out inaugural lithium producers conference. He said apart from the huge turnout of both local and foreign investors, nearly all financial institutions were represented and this signalled a turning point for Zimbabwe's mining industry. Mr Kwesu said what was most heartening is the fact that Government is trying hard to address the issues raised by the miners. These include high tax thresholds, high royalties, non-deductibility of royalties for tax computation, beneficiation taxes and the fragmented fiscal regime.